These programs embed startup culture & allow employees to grow within and outside their job roles. Innovation and inspiration come in many different forms. Sometimes it's finding a way to simplify an everyday process, or maybe it's eliminating pain points for customers. At Cisco, innovation is encouraged through a number of programs designed to give employees a forum to think outside the box and share ideas to shape the company's future. English major Megan O'Keefe came to Cisco a year and a half ago to start her career as a Systems Engineer on the Boxborough Innovation Team. She was quickly pulled into the whirlwind of ideation, validation, and funding that encompass one of Cisco's premier innovation programs, the Innovate Everywhere Challenge (IEC). The IEC, now in its third year, is open to all 74,000 Cisco employees, of which, 42 percent have actively participated, including 3,500 "founders" who have created 2,300 ventures. O'Keefe's team submits multiple ventures each year and has been successful in the Challenge since its inception in 2015. "It's actually kind of funny because up until I joined Cisco I was very focused on my engineering and I had an English focus in college so I like the business side and bringing new business ideas to reality," O'Keefe said. 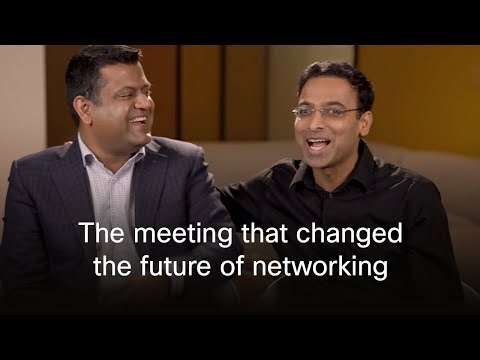 "Joining Cisco was the means through which I got into innovation. It's been unexpected in the best way possible." Through the My Innovation program, one of the pillars of Cisco's People Deal, employees have seemingly endless possibilities to get involved in initiatives such as the IEC, StartUp//Cisco, thingQBator, and Mentor Network. "The programs provide stimuli, bring together diverse and dynamic teams, develop entrepreneurship skills, and give employees access to resources such as mentors and makerspaces," says Mathilde Durvy, Cisco's My Innovation Program Lead. "Employees come out of these programs energized and full of learnings they can bring back to their organizations." 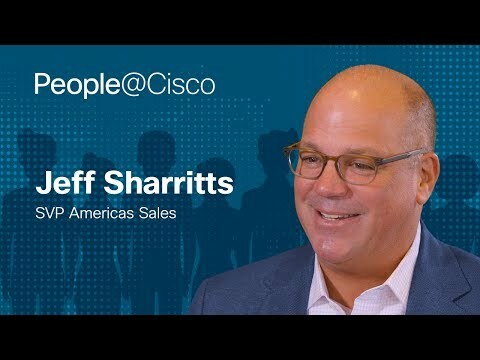 As a result, Cisco's innovation programs have ignited a culture of serial entrepreneurship, where employees learn this important skillset and integrate it into their everyday work. For example, this is O'Keefe's second year being on a team that reached the semifinals and her team also won the first challenge three years ago. Having the ability to be entrepreneurial and work on a cross-functional team to solve a real business problem keeps many employees submitting ventures year after year. "We at Cisco today are facing challenging problems, and it is the desire and determination to solve these cutting-edge problems that leads us to join the Innovate Everywhere Challenge," said Khanh Nguyen, a Senior Technology Lead from the Core Software Group and a finalist in last year's IEC2, as well as a semifinalist in this year's IEC3. "We want to demonstrate that when it comes to innovation, Cisco is second to none." Being in a rapid prototyping role at Cisco, O'Keefe credits the Challenge with helping her tackle day-to-day projects and bring entrepreneurial problem-solving skills to her everyday work. She also says the Challenge has instilled a strong drive to succeed and an interest in entrepreneurship that she didn't possess previously. "Entrepreneurship wasn't in my DNA before, and somehow it is now. The Challenge had a ton to do with it and I'm grateful for that." But for others, entrepreneurship comes more naturally. Take Yogesh Ramdoss, a technical leader in the Cisco Services organization; he was a semifinalist in last year's IEC, and has advanced to the semi-finals again this year. He also was awarded the Innovator Award for Cisco's second quarter of fiscal year 2018. "I'm entrepreneurial by nature," Ramdoss said. "I wanted to be in Services and think out of the box, a little broader. I want to see the whole ecosystem." Ramdoss says the IEC allows him to broaden his view of Cisco's ecosystem and think more cross-functionally. "I have the opportunity to talk to different people and understand the whole ecosystem: to think about Supply Chain, HR, and Legal," Ramdoss said. "I never thought about those things, so that's the value I get— understanding the whole ecosystem and all its parts makes you successful." "If I get the opportunity, I'll come back again for IEC4 and IEC5," he added. IEC offers a breadth of opportunity for all types of participation: employees can be venture founders, mentors or supporters (meaning they can "invest" to choose the best ventures and also give advice to venture founders.) This range of participation fosters a continued sense of entrepreneurship across functions and job roles within the company. "It doesn't matter if your position is in engineering or on the business side, the IEC enables you to look at the problems and solutions from many perspectives," Nguyen said. And what's next for this year's semifinalists? They are just coming off an in-person workshop and are preparing their pitches for the finals on May 7. "After a few months of intense speculation and pivoting, we're finally getting to that point where we can stand back and let the judges do the work from here," O'Keefe said. "I'm really excited to wrap this stage up. It's been a really great year." The entrepreneurial spirit that is evident in the IEC demonstrates that innovation is thriving within Cisco's culture. "Innovation comes from everywhere and all employees have something to contribute," Durvy said, "we must just unlock their potential." To learn more about Innovation at Cisco, visit the Innovation blog. Ashley Cirone is a Social Media Communications Specialist at Cisco and a recent graduate from the University of North Carolina's School of Media and Journalism.